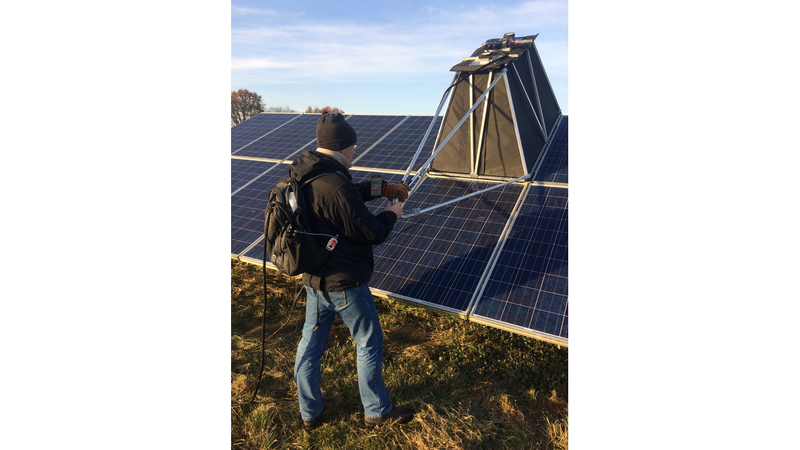 With the multiple award-winning fluorescence outdoor inspection system FLOIS, even the smallest performance-affecting module cracks in PV outdoor systems can be identified and evaluated. Compared to other inspection systems, FLOIS is largely weather-independent and works both during the day and at night. Image acquisition and analysis are easier and faster than for conventional electroluminescence images. Since the fluorescence image changes over time, FLOIS allows the age of module damage to be determined as well as the attribution to specific weather events.